Zach faces his fears when they uncover the source of the noise in the attic! 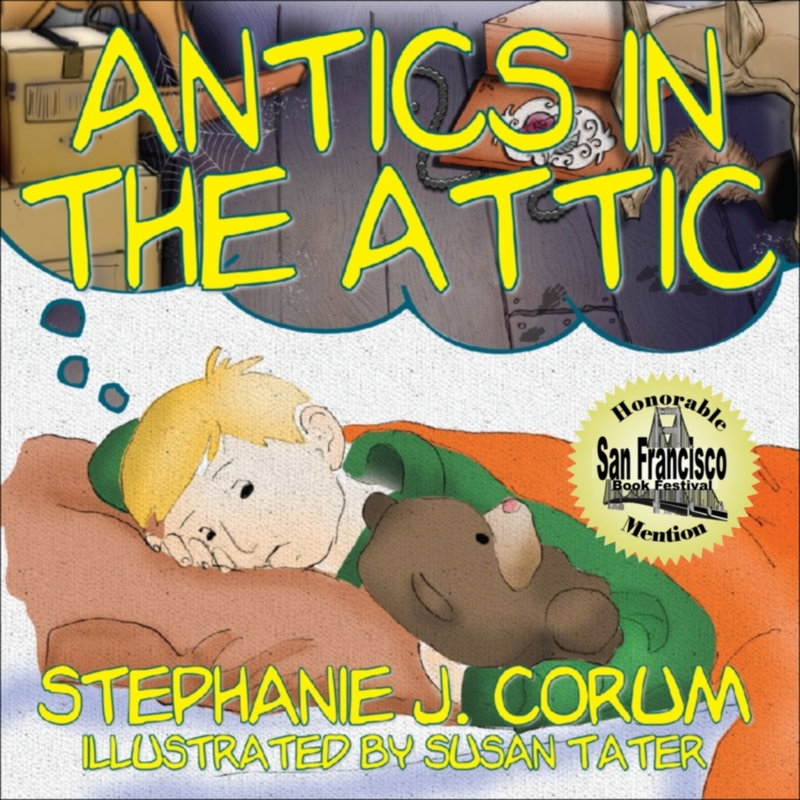 Everyone hears noises at night…but Zach is worried about what [or who] in the world is making so much noise in his attic! Help Zach solve his mystery and find out what he hears. This excellent early reader will stimulate imaginations and conversations for years to come. Stephanie J. Corum is a freelance writer and a true horse addict. Author of numerous magazine articles and the children’s book, Goats with Coats. Stephanie is an avid dressage competitor who lives with her husband Donavon on their small horse farm in Williamsport, Maryland.